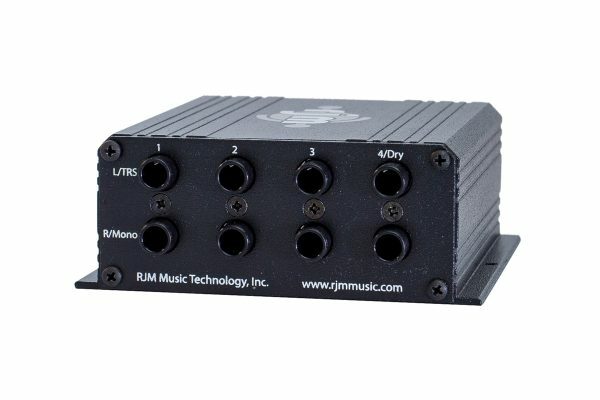 Mini Line Mixer | RJM Music Technology, Inc.
Run your effects in parallel for better tone! 4 stereo input pairs on the rear, 1 stereo output pair on the front. Can use 1xTRS or 2xTS cables for stereo. An essential tool for creating a parallel effects system, the Mini Line Mixer will combines up to four mono or stereo signals into a single stereo output. The Mini Line Mixer is designed to work in a guitar rig with our audio loop switchers, but is versatile enough to be used wherever you need to combine audio signals. The Mini Line Mixer can used in multiple ways. The most common use is a parallel effect system. In this kind of system, you use a splitter or switcher (like our Mini Effect Gizmo) to split the signal into multiple paths. Each path goes to a different effect, like delay and reverb. The outputs of these effects are sent to the Mini Line Mixer, along with the original (dry) guitar signal. Doing this allows you to use multiple effects without your signal getting muddy. This also allows your delays and reverbs to trail off naturally when the effects are turned off – their trails will not get cut off abruptly like they would in a traditional series effect system. What is the Mini Line Mixer and how can it help me in my setup? 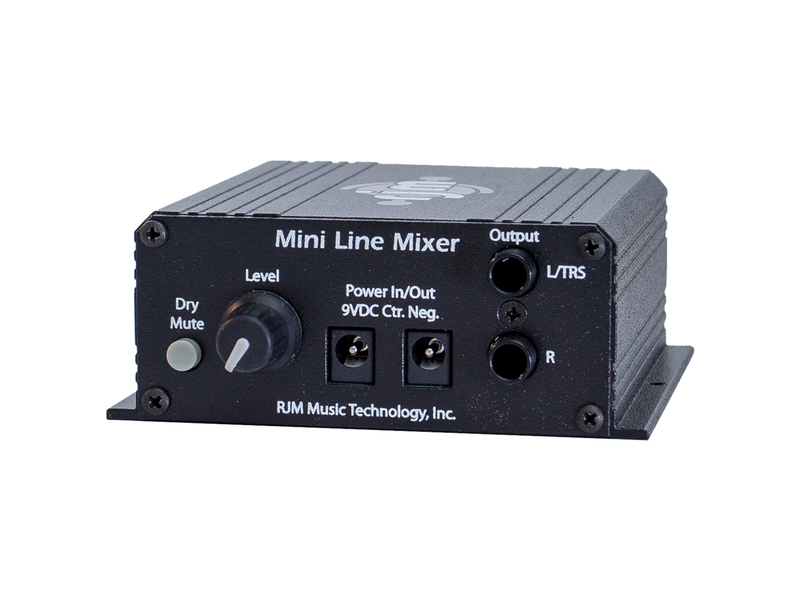 The Mini Line Mixer (MLM) is a stereo summing box that can take up to 4 mono or stereo signals and combine them into a single stereo output. 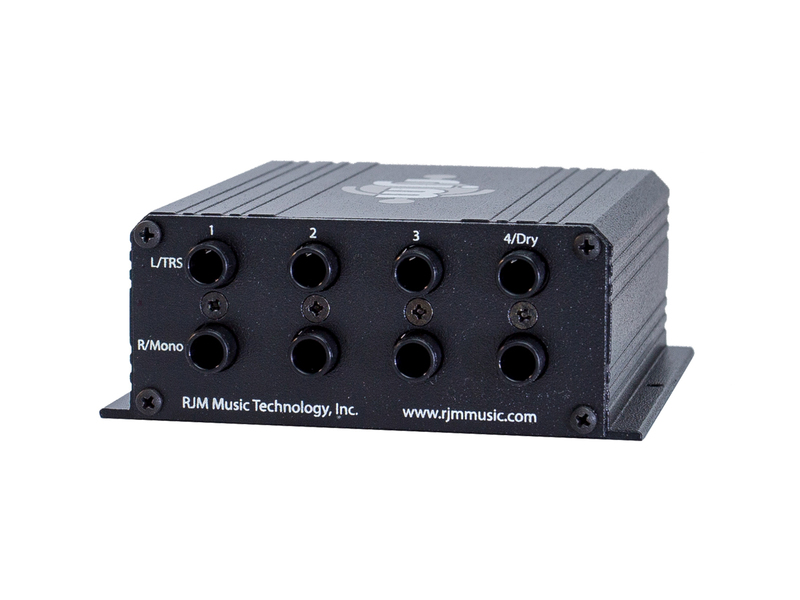 The MLM is small enough that is can be used on a pedalboard or in within a rack. If you run two or more parallel signals, say a dry signal and a wet signal, you can use the MLM to sum these parallel signal paths into a single stereo signal which can be sent to your amplifier(s) or mixing console. Visit our online store to order your Mini Line Mixer today!